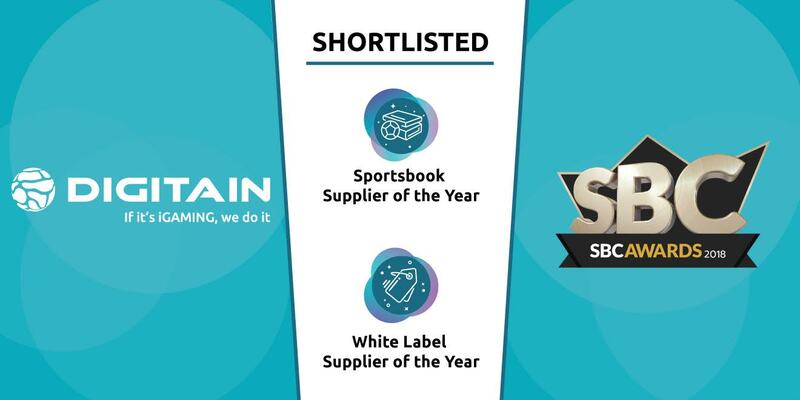 The SBC has announced that Digitain, the multi-channel casino and sportsbook software provider, has been nominated in two of the most desired categories: “White Label Supplier of the Year” and “Sportsbook Supplier of the Year”. “It’s a momentous start for December 2018 for Digitain to be shortlisted in these two categories by such a knowledgeable and important panel of experts in the gaming industry, and we are proud in the fact that our technology and our responsibility to providing our partners with technical excellence is being recognized,” said Suren Khachatryan, Digitain CEO. The award ceremony will take place on December 4th, 2018 in The Artillery Garden at the HAC London, UK. Digitain is also looking forward to the biggest iGaming event of the upcoming year – ICE 2019 in London, where we will be showcasing our products and the best iGaming solutions for new companies entering the market and those looking at expanding their businesses. You can unsubscribe from communications at any time by clicking the unsubscribe link at the bottom of any eNewsletter.